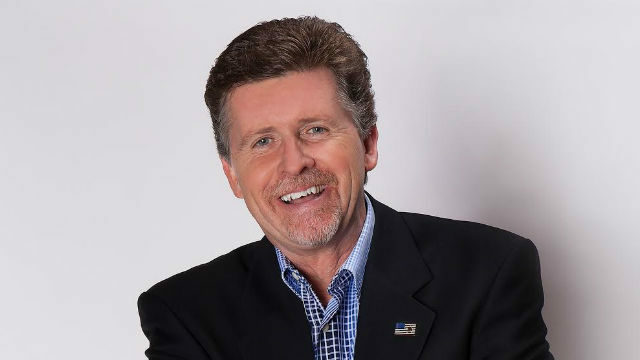 After the past eight years as weekday morning host on KCBQ 1170-AM, Mark Larson is leaving to rejoin KFMB 760-AM starting June 5. Larson will host the 10 a.m. to noon timeslot Mondays through Fridays, the station announced. The conservative media personality is the current record holder for continuous on-air work in the San Diego market. He moved to San Diego in June 1976 from Rockford, IL, to work at KFMB until 1994. This is also the second time Larson has left Salem Radio Network’s KCBQ 1170-AM and its sister station KPRZ 1210-AM. 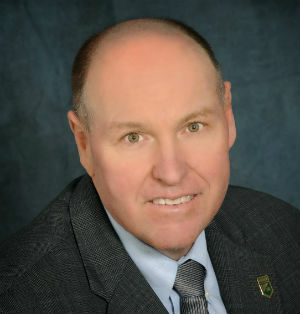 He worked for Salem from 1994 to 2004, followed by KOGO 600-AM (2004-2007) and XEPE-AM 1700-AM (2007-2008) before returning to KCBQ in 2009 as host of the morning drive-time talk show. “Over the years, there have been occasional `what-if’ chats about returning to 760 KFMB,” Larson said. “This time it all made sense. Getting up at 4 a.m. weekdays wasn’t fun any more. And, I felt the local station wasn’t moving to the next level as quickly as I needed it to be. I’m proud of helping put the station on a broader map and making a difference in the community. I have the deepest respect for Salem, having spent a total of 18 years with them. But, it was time for me to change. Sniff said KFMB’s weekday host schedule, effective June 5, will include Armstrong & Getty (6-10 a.m.), Mike Slater (noon-3 p.m.) and Brett Winterble (3-7 p.m.). In case you’re wondering, Larson’s 41 years of continuous on-air broadcast presence in San Diego is ahead of Sam Bass, who has been heard on KyXy 96.5-FM since 1978, and Hal Clement and Bill Griffith, both with 39 years on TV before retiring in 2011 and 2015, respectively. Dale Hendry, VP of operations, Salem Media Group said a new morning show replacement will be announced later this week. NFL fans can follow the relocated Los Angeles Chargers on the team’s new flagship broadcast partners in the LA market, including KABC-TV, iHeartMedia Los Angeles, KFWB 980-AM, Azteca America 54 and KAZA-TV. The team recently announced it has agreed “in principle” to multi-year agreements with the outlets. The agreements include preseason games, news features, community events and promotions, which are expected to produce nearly 400 hours of programming a year. KABC-TV/ ABC7, the West Coast flagship of the ABC television network, will televise all preseason games available to air in Southern California along with pre- and post-game shows. Additionally, KABC-TV will air two weekly Chargers series in Saturday evening primetime during the football season and weekly Chargers news features throughout the year. iHeartMedia Los Angeles will air all preseason, regular season and postseason Chargers games on KFI AM-640. The company’s eight radio stations will support the effort with year-round programming and promotional content, including a weekly Chargers series that will air on AM 570 LA Sports during the season. KAZA-TV Azteca America 54 will serve as the Chargers Spanish-language television station. KFWB 980-AM, operated by Los Angeles-based Lotus Communications Corp., will be the team’s Spanish-language radio station. KFWB will broadcast all preseason, regular season and postseason Chargers games, including pre- and post-game shows. The station will also air a weekly Chargers series during the season. 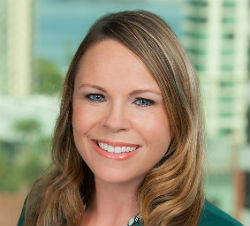 Cox Communications California has promoted Chanelle Hawken to VP of public affairs. In her new role, she will provide leadership and strategic direction to the government, community, media and public relations functions for the company’s California markets, including Orange County, Palos Verdes, San Diego and Santa Barbara. Hawken joined Cox Communications in March 2016 as director of government and regulatory affairs, overseeing legislative and public policy, and leading Cox’s Government Affairs team in California in managing local, state and federal policy and advocacy. Prior to joining Cox, Hawken was VP of public policy for the San Diego Regional Chamber of Commerce, managing public policy, government affairs, grassroots campaigns and community partnerships. While at the Chamber, she was appointed to Mayor Kevin Faulconer’s Pure Water Working Group. Hawken also has worked in government relations and as a spokesperson for the San Diego Regional Airport Authority, and as lead policy advisor to former San Diego City Council member Scott Peters. “Chanelle brings a wealth of experience and leadership to her role, and she has a strong commitment to our customers, our community and our state,” said Sam Attisha, senior VP and region manager, Cox California. CompuBrain, a San Diego digital marketing and social media firm, has announced it has launched a new platform to help boost Google rankings of social media posts by hosting the posts on a website. The new platform, called Social Media 2.0, consolidates social media posts, adds content weight and optimizes SEO, according to Bijoy Patel, CompuBrain founder. “Your digital content should be available on your website first,” said Patel. “The core principal of Social Media 2.0 is to become independent of third-party platforms from hosting your digital content.” CompuBrain, founded in 2006, also has offices in India and New York.